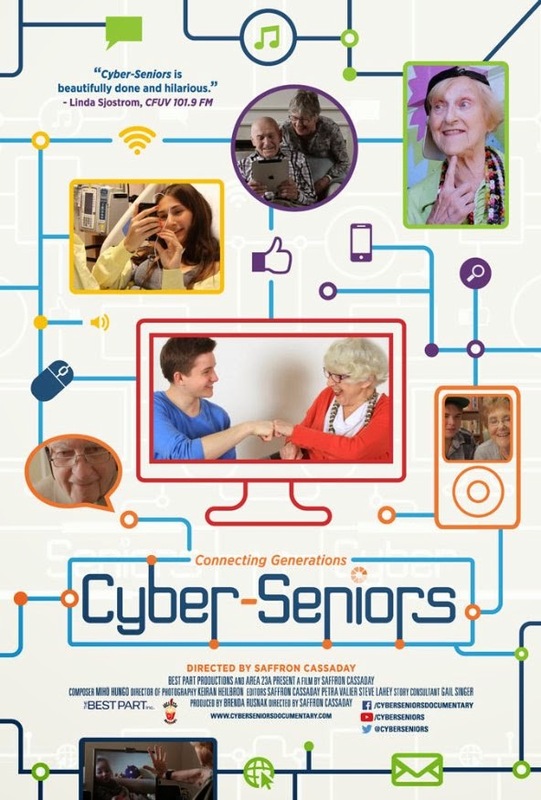 TrustMovies: Saffron Cassaday's CYBER SENIORS: de-gapping the generations, as oldsters learn email & Skype! 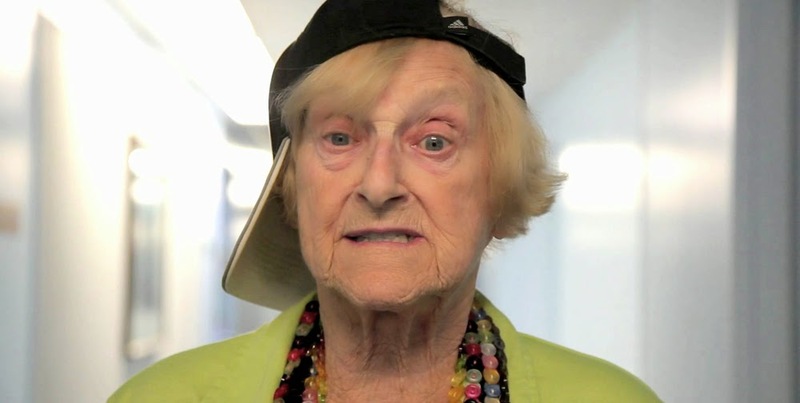 Saffron Cassaday's CYBER SENIORS: de-gapping the generations, as oldsters learn email & Skype! This is a documentary that needs to be seen -- primarily, I think, by the very population that it covers so interestingly: those senior citizens, many of whom have not, so far, embraced their computers and the internet and learned of all that these have to offer them. 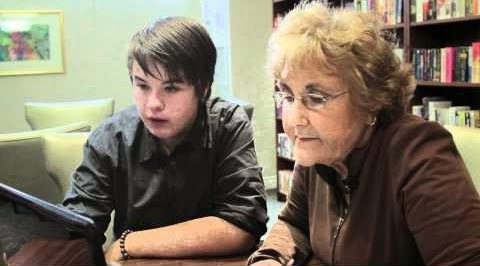 CYBER-SENIORS, the film by Saffron Cassaday, shows us how seniors in various places (in Canada, I think) have been taught by a host of youngsters who of course know and use email, the internet, Skype and what have you, and so are able to school their elders regarding how to do the same thing. 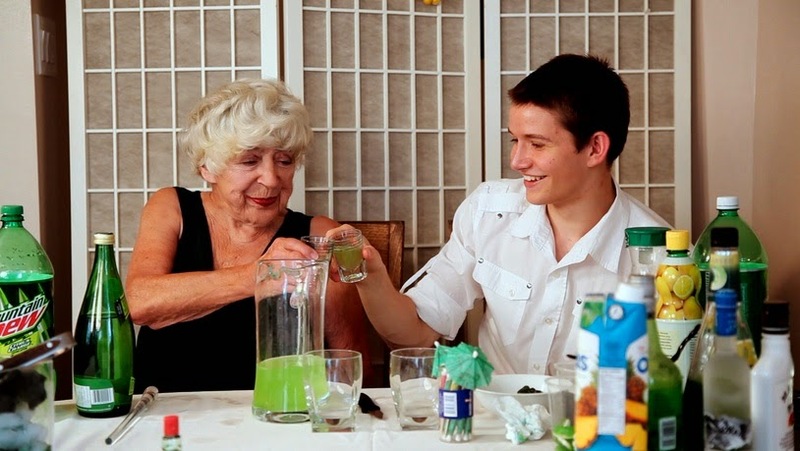 In the process, the generations get to know each other and profit from the experience. The seniors no doubt profit a little more, but the kids, at least, discover that us elderly are not some alien race whose sell-by date has long expired. 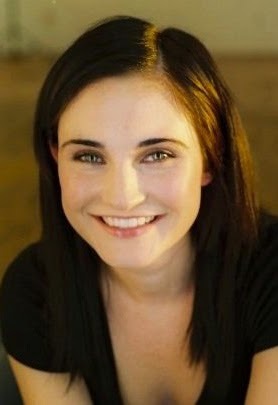 Ms Cassaday, the young director of the film (shown at left), has brought together a fun group of the old and the young and watched them bounce off each other. The old folk do learn, perhaps not quite as quickly and pain-free as shown here (the film tries to remain upbeat, even concerning the cancers that one of the elderly already has, and one of the youngsters acquires along the way), but there is no denying the good results that we (and they) see happening right in front of us. The kids look like high school and college level, while the seniors are anywhere from their 70s into their 90s. Depending on their remaining abilities, it's amazing what some of these people can do. Watching them get involved with each other is often bracing and sometimes joyous. Funny, too: "Do you like seniors more or less than before?" the young man, above, is asked. "It's like anything else," he answers. "You get used to them. And they're kinda cute." Ms Cassaday makes certain we learn at least some of the back-story of these elderly, which helps involve us. And yes, in addtion to being fun, they can be petty and silly and jealous and what have you, just like everyone else -- as we see with one woman, below, who's rather desperately hoping that her YouTube video wins the prize. I actually wish that Ms Cassaday had not spent what seems like the final half of her film on these rather silly YouTube videos, getting her seniors involved in each making his or her own. Sure, it seems to provide some motivation for our gang, but it also appears to be turning the little group into past-their-prime teens who live for how many "clicks" they can get. I'm with the woman who says she doesn't like Facebook. You go, girl! Cyber-Seniors -- from Area 23a and running 75 minutes -- begins its theatrical run in Los Angeles, this Friday, May 9, at Laemmle's Music Hall 3, and then hits New York City the following Friday, May 16, at our Cinema Village. Click here to see further upcoming playdates.